Kane got a little emotional after he received a text from Vince McMahon congratulating him on his victory in the Knox County mayoral race. For the past 23 years, Glenn "Kane" Jacobs has spent his career either as a deranged dentist, a forbidden brother, or a corporate stooge. Regardless of the rendition, Kane has created a shoo-in Hall of Fame career. After barely squeezing by to make it to the general election, Kane won in a more decisive fashion to become the Mayor of Knox County, Tennessee. Before his acceptance speech, Kane walked to the podium using his old Slow Chemical theme. In an interview with Sports Illustrated, Kane described the feeling of now being the mayor-elect of Knox County. "The entire thing is humbling," said Kane. "The reason I won is because I had a great team around me. Those folks invested their time and their energy into helping me because they believed in me, and that’s very humbling. Also, people were willing to vote for me and tie their future to me, which is humbling and also a huge responsibility." Kane added that he always believed that he could win the election, even after people were surprised that he won the primary. Following Kane's win, Vince McMahon sent him a text congratulating him on the victory. This text meant a lot to Kane, with him even admitting that he got a little choked up. 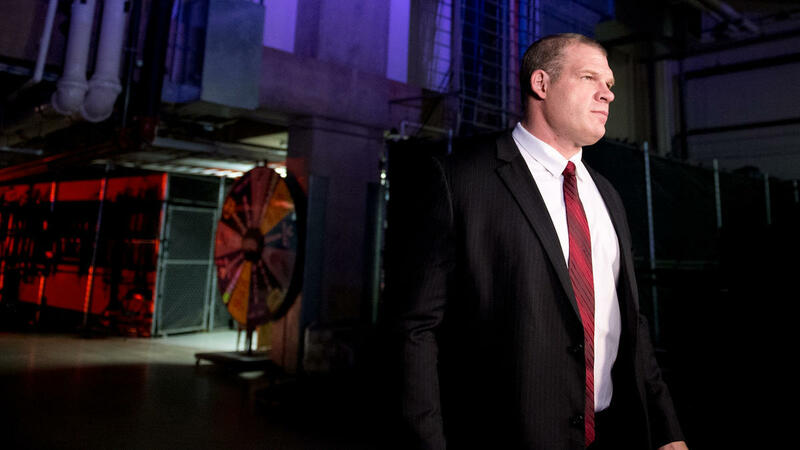 "Vince wants all of us to do well, no matter what we’re doing, because it reflects well on the company," Kane said. "On a personal level, between me and him, it’s important to me that he is proud of me. He’s done so much for me and for my family. He sent me a text that got me all choked up." In addition to his political stance as a member of the Republican party, Kanevowed to show Knox County, as well as the state of Tennessee, that WWE starsare just as successful outside the company as they are inside. "I was also out to prove that WWE stars are more than just wrestlers," Kanesaid. "We’re entertainers. We’re worldwide, internationally-known superstars.Anything that I can do to break that stereotype, I’m all about it. Dwayne ‘TheRock’ Johnson is the number one movie star in the world, and he’s a WWEsuperstar. Linda McMahon is the Small Business Administrator of the UnitedStates of America, and she was president of WWE. But somehow, people stillhave this stereotype of the WWE. I’m happy, on a personal level, to helpdestroy that stereotype." Kane officially will be sworn into the office of mayor on Sept.1, 2018.